Is there something specific at Liquid Web that you just love? I love that the executive team here at Liquid Web allows me to put my entrepreneurial instincts into action and impact the strategic vision of our Partner Department. Not many companies hire a new team member with the intent of listening to what you have to say, much less allowing you to act on it. From the first time I walked the floor of the office, I immediately felt like I had an opportunity to make a real impact instead of just being a robot in an office desk. I’ve been a part of a Fortune 500 company as well as a few startups worth less than $1M and Liquid Web has a culture that is a unique mixture of both. Employees have the flexibility of a small business with the benefits of a much larger company, which is perfect for me. Initially, I was given an opportunity to be part of our Web Solutions team at Liquid Web. Within a few months, I was given a chance to take part in laying the foundation of what has now become our Strategic Partner Department. 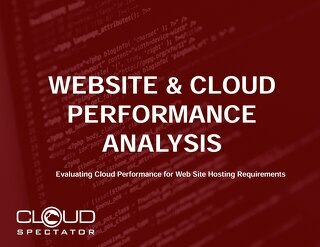 I started by spending countless hours speaking with web professionals within our account base to learn what was actually important to them and what they valued in a partnership with a hosting company. Over the course of a year and a half, I started to get a true understanding of the role our partners expected us to play in the development of their business. The work we put in, and the feedback received from our partners, started to generate enough of a need to structure an entirely new team. This team would be sales and marketing folks dedicated to strengthening the bonds within our Partner Community. It became truly amazing to watch it take on a life of its own. Having a vision turn into the need for the creation of an entire department has been something that I will never forget being a part of. No single milestone is more important than the countless hours spent doing my part to join leadership in building and executing this partner initiative. What’s your favorite part about the company culture at Liquid Web? I recently found myself needing some more flexibility in my schedule while I helped support my mom during a tough medical emergency. The leadership team rallied around me to pitch in and help in any way they could; family always comes first at Liquid Web. The leadership team absorbed my day to day responsibilities and made sure that I took the time I needed to be with my family. Feeling like I’m a part of a culture of people that are willing to help out in a serious time of need is something I’ll never forget. It’s not very often that you get to say you work with a group of people that care about you as a person outside of the office. Tell us about a truly rewarding experience you’ve had with a customer. In my department, our customers are our partners. One partner, in particular, comes to mind. They are a small business and came to us needing more than just a web host. They needed guidance in solving multiple business problems. After spending a few hours on the phone with their team, we came up with a plan to standardize their product offerings to live on pre-configured servers here at Liquid Web. Through our work in a newly formed partnership, we solved multiple small business support, sales, and marketing pain points that in turn increased their close rates, shortened sales cycles and drove a new stream of revenue through our partner commission model. This partner has grown from a small account here at Liquid Web to one of our most successful partnerships. Of course, I’m happy about our success with this partner, but I am even more excited to have built such an impactful relationship with a small business owner that turned into real growth for them. What are you known for at Liquid Web? What do people specifically come to you for? Work-related… ALL THINGS PARTNER. As I mentioned before I have been a part of laying the groundwork for the Partner Program and have been lucky enough to work side by side with leadership in Marketing, Operations, Enterprise Sales, Support and Product. By doing this, I’ve been somewhat of a connector between departments when it comes to partner relationships. I’d say a close second is my amazing falsetto singing voice. I have to say it’s majestic and truly brings people to tears, although I’m not sure they are tears of joy. What is your nickname at Liquid Web and why? I’m not sure I have any nicknames that I’ve heard people say to my face but I have been called Fancy Pants before. Seriously, my wardrobe is something I take serious pride in. I like my clothes like Goldilocks likes her chairs. They can’t be too big or too small. They have to fit juuuuuust right. You can follow Adrian on LinkedIn. The post Meet a Helpful Human – Adrian Luna appeared first on Liquid Web.